Wander around at a hot rod or custom car show, and you will always notice groups of people wearing club jackets or shirts. 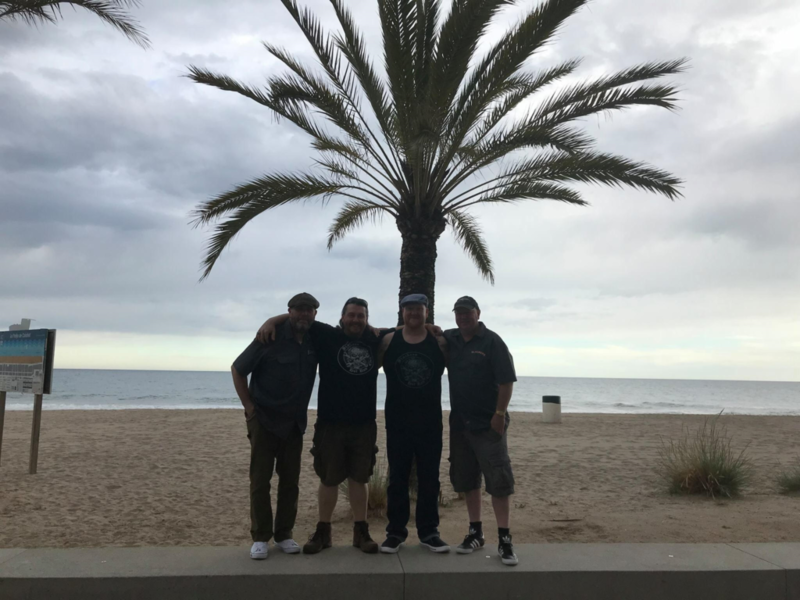 As we read in the Spotlight On the A602’s, one of the best aspects of the UK hot rodding scene, is that there are regional and individual clubs right across the country. In a nod back to those early days in the US, groups of friends came together to build and race cars that were available post WW2. Today, nothing has changed! Groups of friends still come together to build cars and race cars and out of these groups of friends, over time they form into a club. 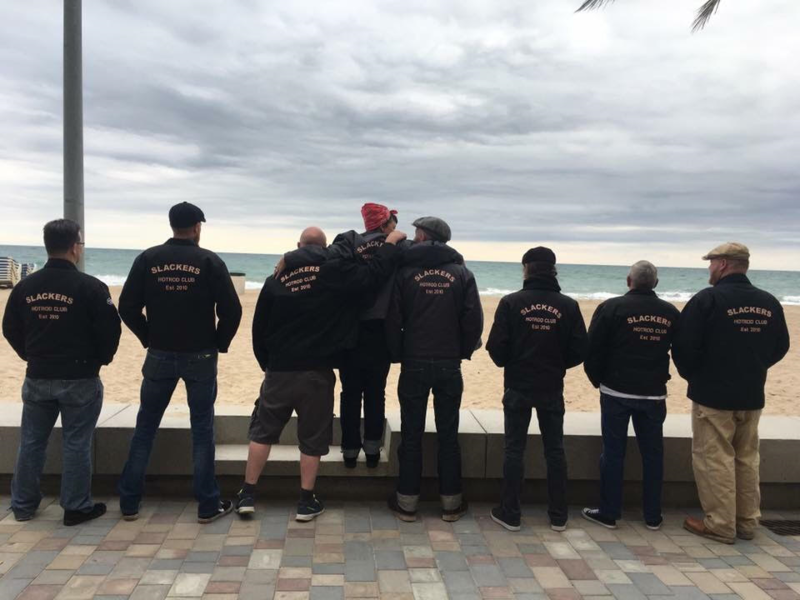 Clubs, big or small, tend to have their own logo, merchandise and club shirts – image is important within the scene you see… People are proud to belong their individual car club and of course want to represent it. 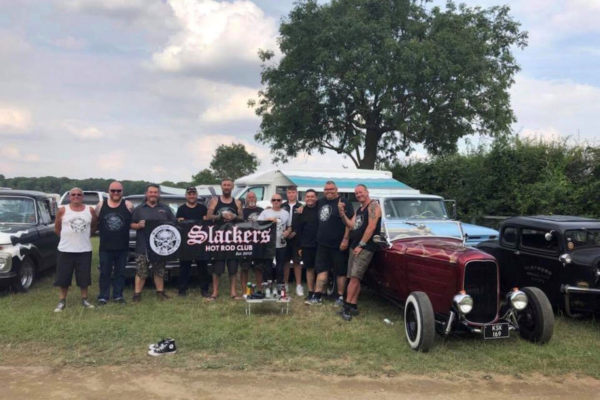 One club that you will always notice is the Slackers Hotrod Club – whether you spot them all on one long table in the bar at the Hot Rod Drags at Santa Pod Raceway or parked up together at the NSRA Hot Rod Supernationals. A great group of people who are always friendly and welcoming. Tell us a bit about the club and how you got your name? 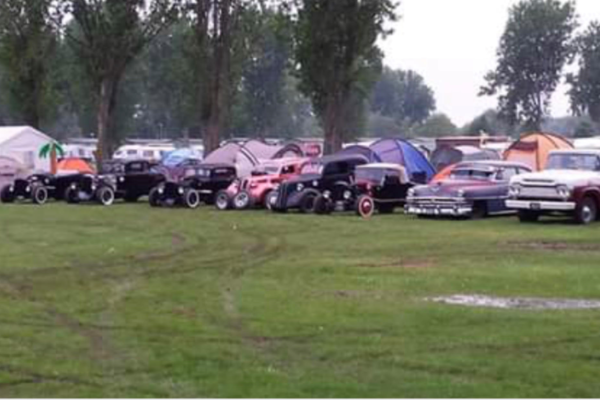 We are a group of Warwickshire friends that share a common interest in hot rods and classic American vehicles. Our club got its name from having a laid-back look on things and also in homage to an old friend of Rodgers called Slacks who sadly passed away. The club was formed in 2010 and we currently have 27 members. We run as a subscription-based club and tend to meet up once a month. Our club President is Rodger King, Geoff Woolridge as Vice President, Jimmy King as Secretary and myself as Treasurer. But every member has input into the running the club. The Slackers have great social calendar, who organises this? Jimmy King is in charge of organising meetings, trips and social events. And I am the ‘Slackers bank’ and pay for the tickets, camping, hotels & flights etc. We’d love to have a party every year but don’t at the moment. We held a party to celebrate our 5th anniversary in 2015, and then we held another party in March 2018 just to get everyone together and raise some money for the Air Ambulance. We have held the parties at the same venue with different bands but with some forward planning we hope to go bigger and better for our 10th anniversary in 2020! The organisation can be a little stressful at times, but we always get sorted and always have an amazing time. For those that might not know, tell us a bit about the cars that are covered by the club? Well, we have quite a mix. 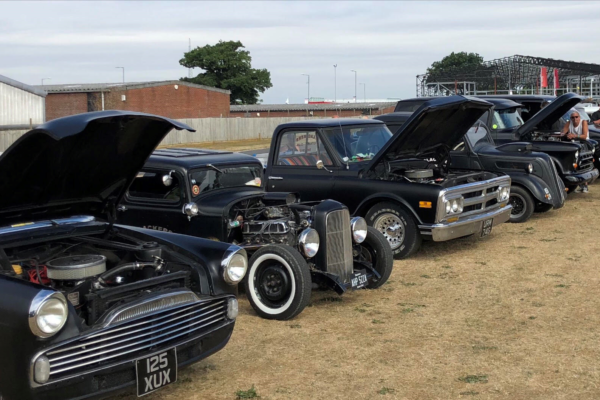 Our members cars include Ford and Chevy Pickups, Ford Pops, T-Buckets, Zephyrs and Zodiacs, 1932 Ford Coupes and Roadsters, Morris Vans, Ford Day Vans, Chevrolet Belair, a 1951 Mercury and a Chrysler New Yorker. We do like you to own car to be a member. What events to do you organise? We have held our own “Slackfest” the last 2 years. This is just a local one-night camp when all members meet up for food, drinks, music and fun with a few friends we have known from the beginning. What other shows do you attend as a club? We try to attend as many shows as we can and also try new shows each year. We’ve attended Chimay in Belgium and Riverside Car Show in Calafell, Spain. 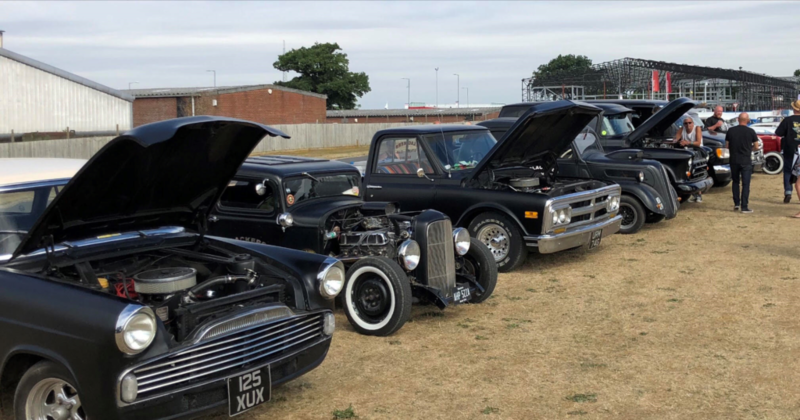 A favourite amongst the club is the Hot Rod Supernationals at Old Warden, but we always enjoy being together as a club and meeting up with old friends and new from other clubs. 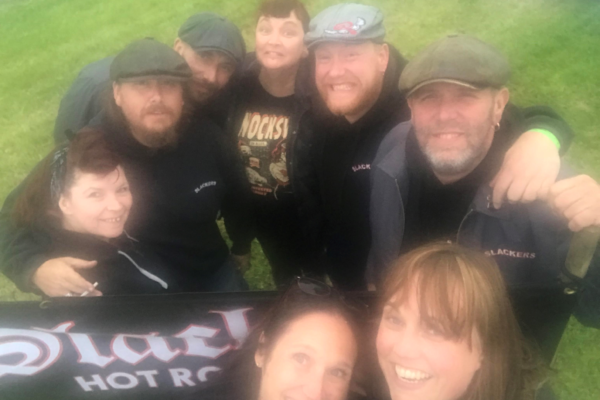 We feel proud of the friendship we all have, we are not just members of a club we are all friends – sharing fun and laughter at all the shows we attend. We feel proud of the time and effort each member puts into their vehicles and supporting each other when it’s needed. We are not show ponies, polishers or waxers, fun comes first! What’s your view on the future of hot-rodding here in the UK? We hope it doesn’t become a scene for the rich and fortunate and normal working class people can still be the major part of the Hot Rodding scene. 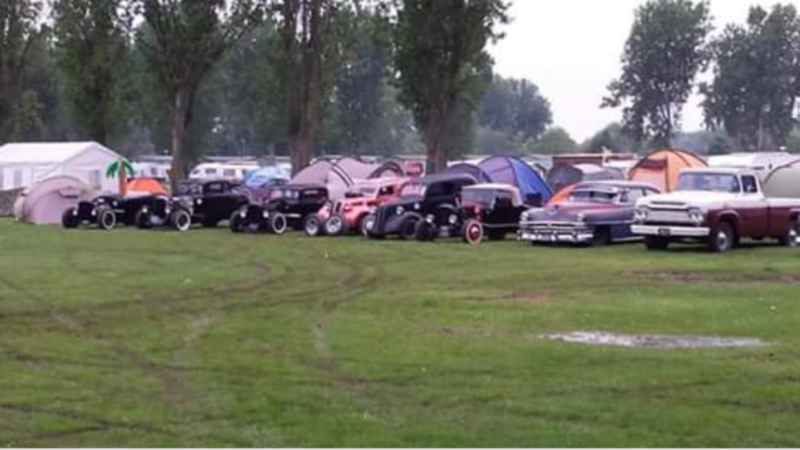 We have 6 children in our own club that enjoy the Hot Rod scene and we see many more at shows, so we are hopeful they will carry on what we love when we can no longer continue. 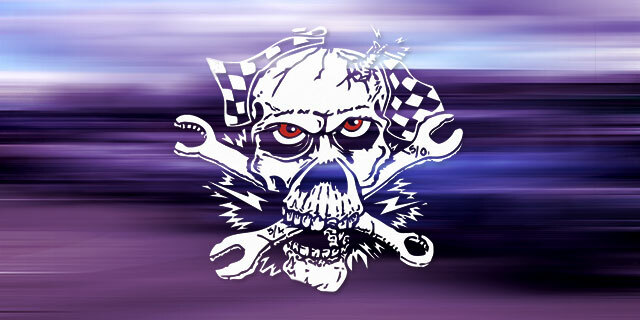 Read our latest guidance on insuring your first hot rod here. 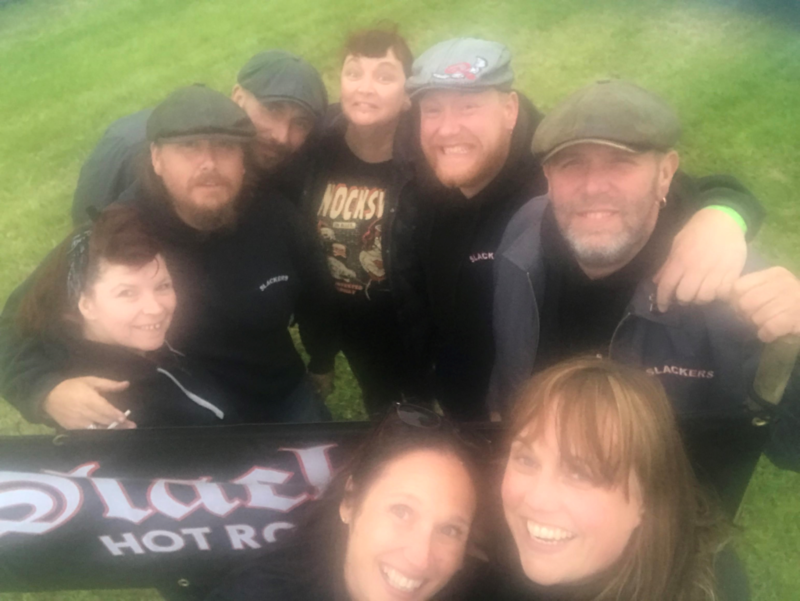 What’s next for the Slackers Hotrod Club? We have our AGM at the beginning of January where we discuss which shows we want to attend for the year. We also have our 10th anniversary in 2020 to organise. So, here are the people behind one of our favourite clubs. Working hard behind the scenes to run this friendly club for their members. Slackers Hotrod Club, thank you for being our car club of the month and we look forward to seeing you all at an event in 2019! 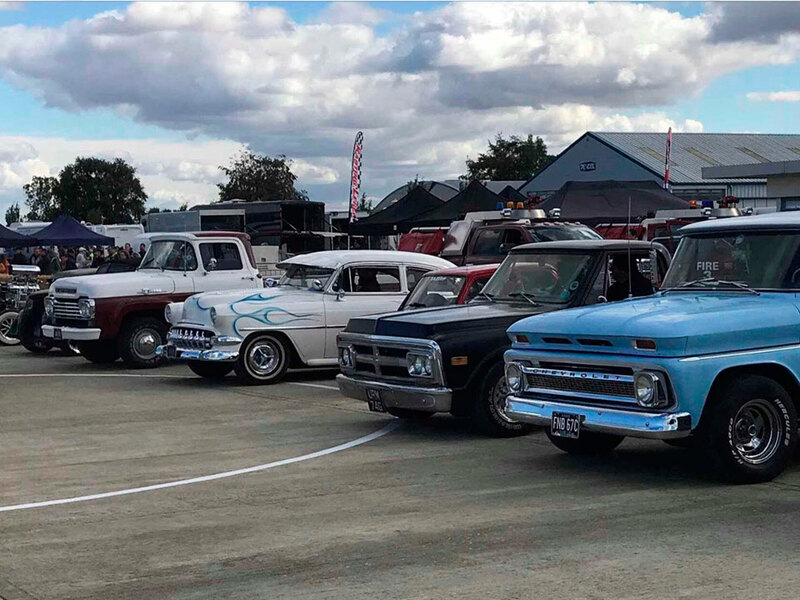 ClassicLine Insurance offer a range of car club insurance schemes that can provide revenue for your club as well as benefits and discounts for your members. To find out more, visit our car clubs page.